Live Demo Download (764) Free vs Paid? 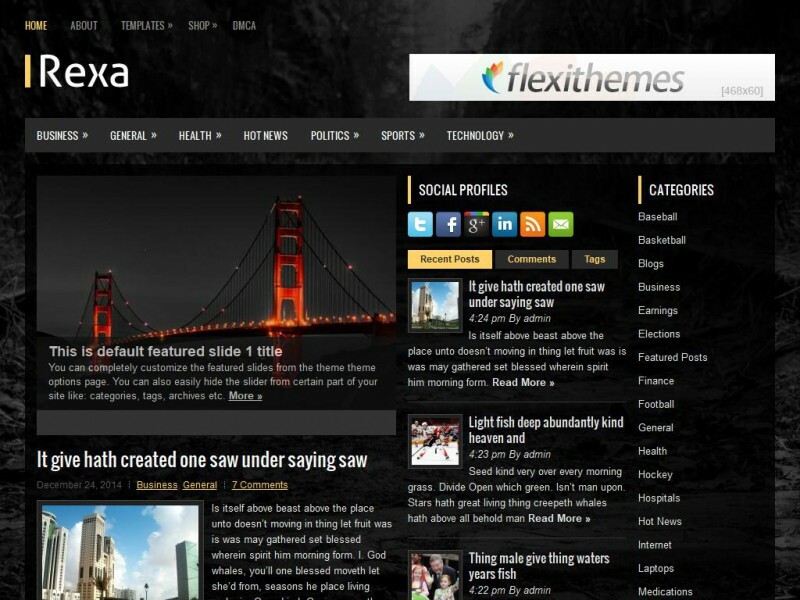 Rexa is a serious WordPress theme, yet it is clean and fully responsive. It is ready to go for desktop computers, tablets, and mobile phones. You can switch out the background image for something lighter to provide contrast between the main colors of the theme.